LOCATION, LOCATIION, LOCATION. 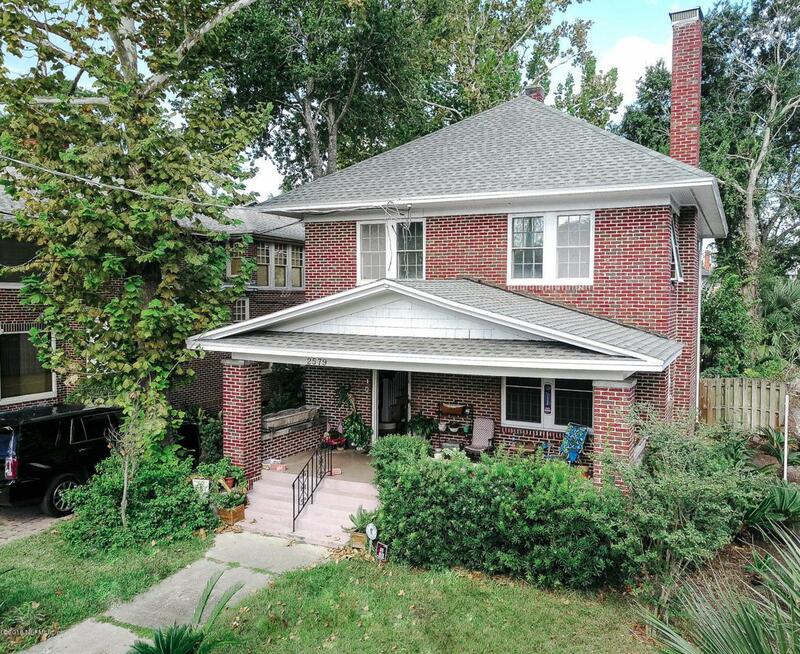 Located just a block form St. Vincent's hospital, Park & King and an easy walk to 5 Points area. This Riverside all brick office has 3 offices upstairs, large dining room with French doors, large living room with a gas fireplace and built in bookcases. Other amenities include large front porch, upstairs balcony in rear, paver driveway and parking area and a 2 car detached garage. New roof in 2017, new gas tank less water heater in 2016 and a new kitchen has been installed.